The 10 Best Breweries in Georgia! Georgia’s beer scene is one of the best in the country, offering beer lovers of every sort something special, unique, and delicious. 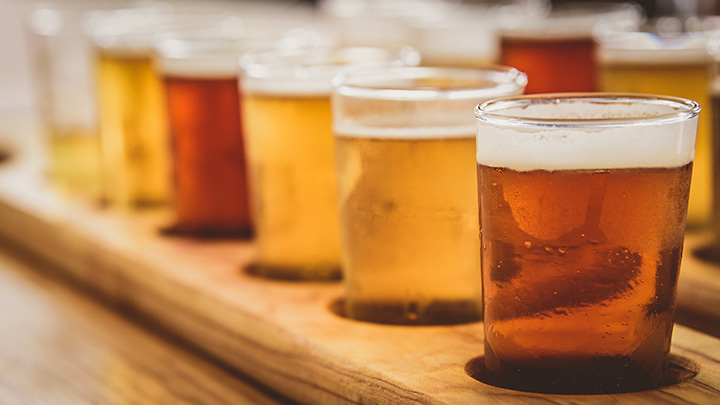 With dozens of craft breweries, specializing in expertly-created local brews, it’s hard to beat the Peach State when you’re looking for a cold one! Come take a taste for yourself at one of these 10 best breweries in Georgia. Sweetwater was making craft beer before craft beer experienced its massive surge in popularity. Creating some of the best IPAs in the industry, fans love taking a tour of the Sweetwater brewery because of the generous samples, souvenir glass, and variety of flavors. The folks at Sweetwater know how to have a good time, and they also know how to help you do the same. This fan favorite brewing company knows how to satisfy a craft beer lover. They feature plenty of tried-and-true favorites year-round, like their Hobnail IPA, as well as small batch brews, including their coveted pumpkin brew Bumpkin. Guests can take a tour and enjoy generous pours from six of their best brews. You’ll think you just stepped into beer heaven when you make a trip to Wild Heaven Beer. These truly unique beers offer exactly what the beer world has been missing. Fusing European traditions with American flair, visitors can enjoy some of the biggest flavors in beer without the excessive alcohol content. It’s not what you’d expect from a non-high gravity beer, and that’s exactly point. Being in the craft beer capital of the state, Creature Comforts is beloved by locals and travelers alike. Their fans agree that no trip to Athens is complete without a stop here. Equally amazing as the beer are the people serving it—fans come here as much for the company as they do for the beverages! Situated in the town’s old jailhouse, this brewing company is churning out flavors so good they should be illegal. From humble beginnings and a lot of leg work comes one of the most unique breweries in the Peach State, offering tours and events to visitors along with samples of some of their top-notch brews. Just $15 grants you access to a tour of this amazing brewery, complete with tastings and souvenir. Fans love this place because of its cozy atmosphere, making it an ideal spot to get together with friends for a fun afternoon. The crew here is also well versed in their beer knowledge, which makes your experience all the more authentic. Paying homage to the town of Jekyll Island, a town already steeped in Georgia heritage and the site of the first brewery in the state in 1738, comes Jekyll Brewing, a craft beer brewery that’s quickly earning its own spot as an icon in Peach State history. Guests love coming here to enjoy live music while they sip their choice of craft beers, knowing each and every bottle is made with the passion and fervor from those who share the love and visions for what craft beer should be. Created through nothing but pure passion for the brew, Let Nut Brewing Company has garnered quite the fan following in its few short years. For just $15, visitors can tour the brewery and enjoy 36 ounces’ worth of samples while learning more about their favorite LNB brews. The brewery has built their foundation on quality IPAs and Belgian Tripels, and the scenery only adds to the experience. View more Georgia Breweries and Brew Pubs.